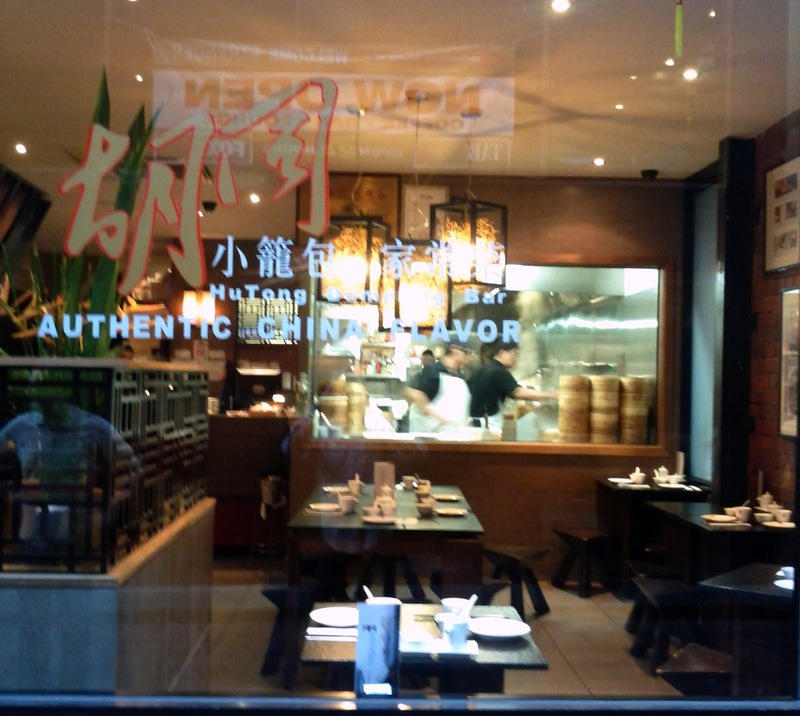 After a few failed tries at getting a reservation at Hu Tong and a couple of attempts at getting a table by showing up, finally with some advanced planning, a booking and an early dinner slot on a Tuesday evening we made it! From the street you can see straight through to the kitchen, where the chefs were already busy. We were directed up to the second floor by the slightly curt but efficient front of house. We ascended the stairs with staff knowing where we were going all the way. All three floor I saw were decorated in a similar style, with plenty of photo's of the Hu Tong's of Beijing. It's slightly ironic that Melbourne's 'premier' dumpling joint is named after these small and humble back streets, on the other hand Market Lane is probably about the same width as some of them. I stayed in a hostel in the Hu Tongs south of Tiananmen Square 10 years ago and the photo's took me straight back there. 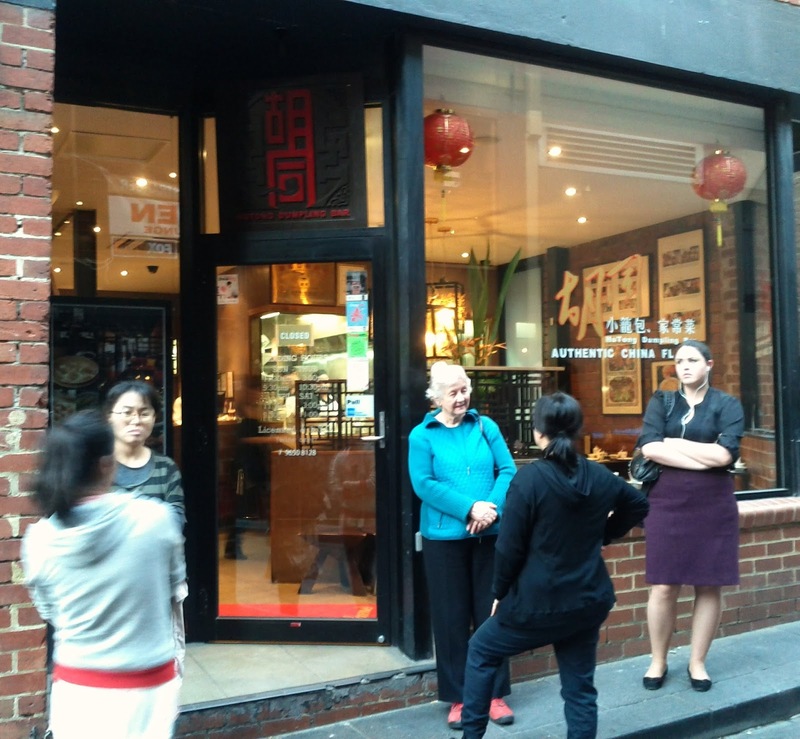 The fit out combined modern and traditional Chinese elements and featured plenty of wood, to raise above the average Melbourne dumpling house. 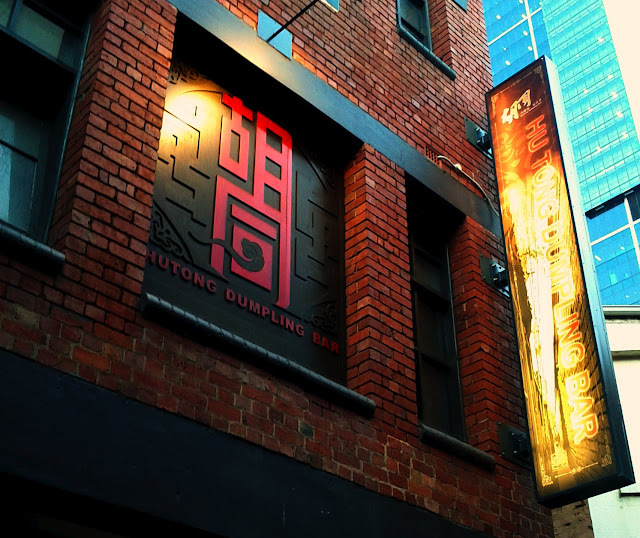 We stuck to the front section of the menu, trying a few of the varied dumplings on offer, amongst the first to arrive were the famous Xiao Long Bao listed as Shao Long Bao on the menu and abbreviated as XLB in some places. 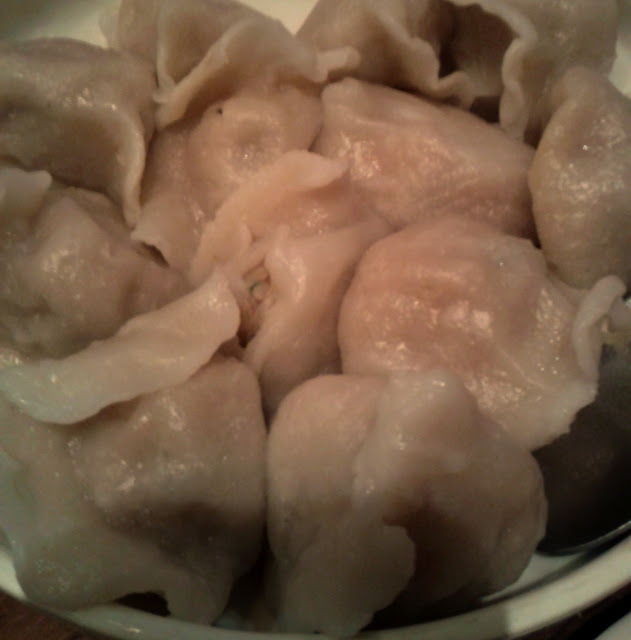 These 'soup dumplings' have broth surrounding the main pork based filling, and end up with a bulge around the base. 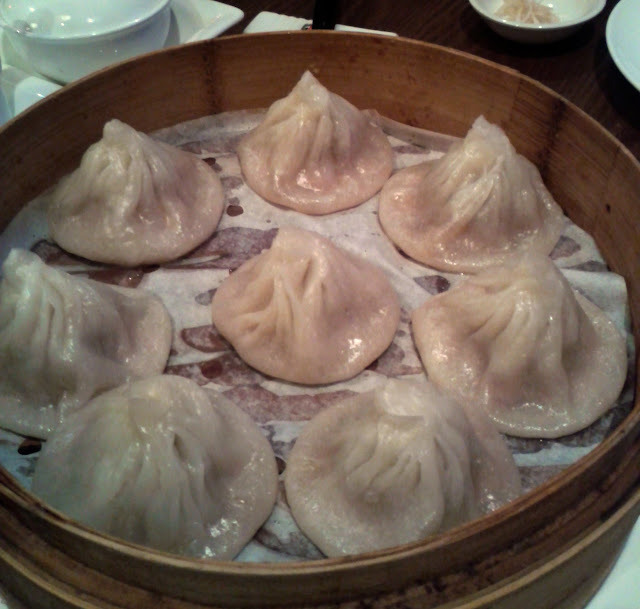 Here they seemed to contain a varied amount of liquid, the heaviest ones being particularly juicy, and a challenge to eat! 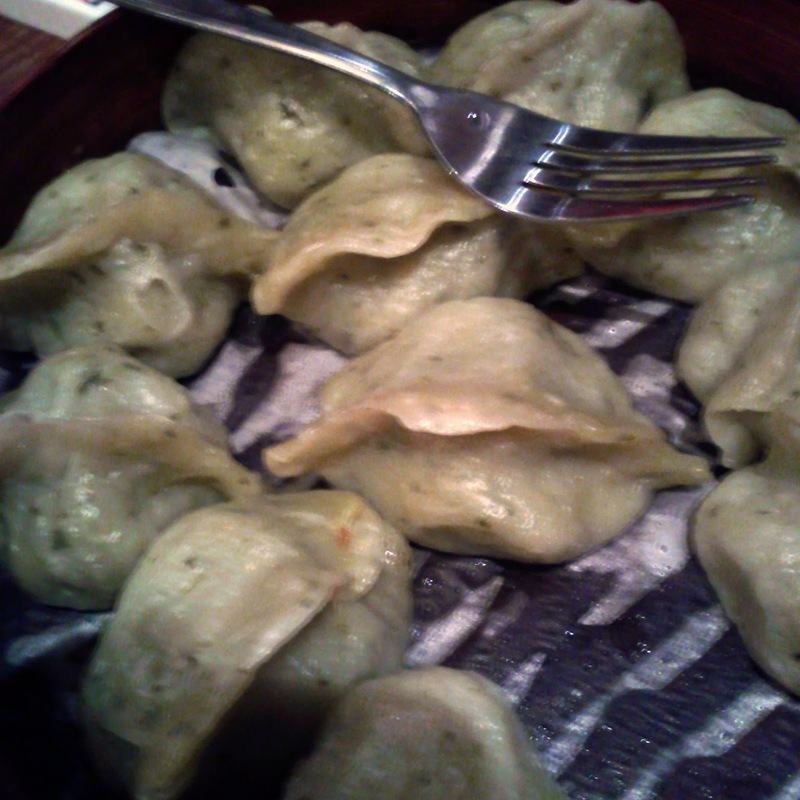 They were at least on a par as the last ones I'd had at Shanghai street dumpling, but didn't completely blow me away. The Wontons with hot chilli sauce also came in the initial delivery, and these were perhaps the stand outs from the whole meal, the oily sauce featuring the crazily hot an mouth tingling Szechuan peppercorns as well chillis. The boiled dumplings filled with spinach were a little bland compared with our favourite veggie dumplings from Shanghai Village Dumplings just down the road and the skins were a little on the thick side. The spring onion pancake not quite what I was expecting, thicker and more pastry like rather than a western or peking duck style pancake. It was however satisfying. 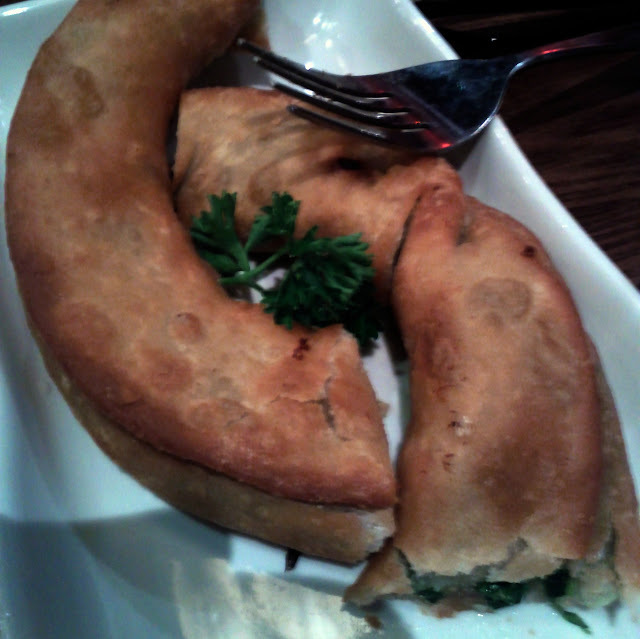 The three of us were still a little peckish after our first four selections so we ordered more! 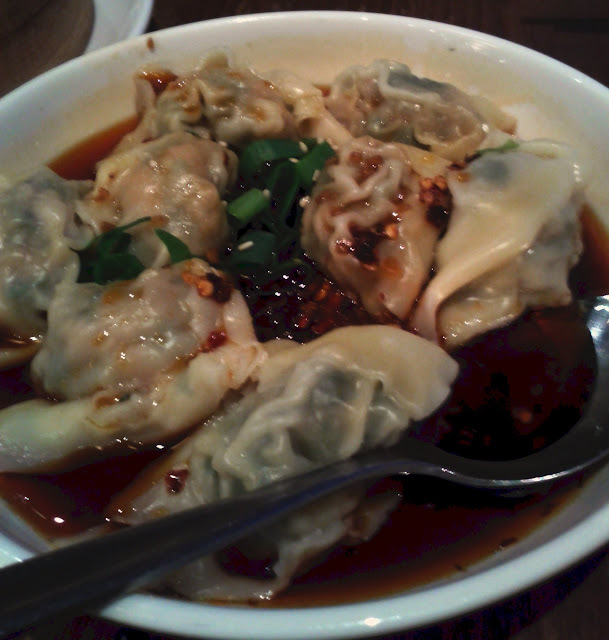 We partly chose the boiled pork dumplings because you got a decent number (12) on the plate, and they certainly helped fill us up and were certainly strong renditions of this staple. 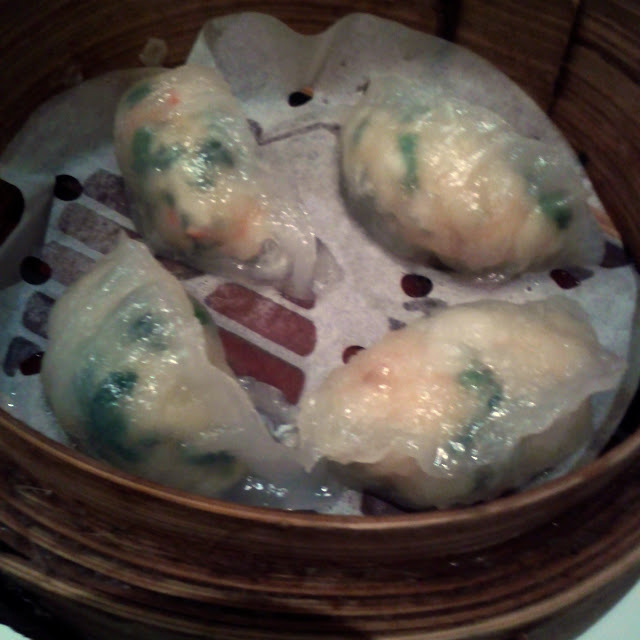 The crab meat dumplings with prawn, spinach, bamboo and carrot were another favourite around the table, the strong crab flavours shone through and even showed through the tightly packed translucent skins, definite winners! The meal came to $113 for the three of us, including a couple of beers each, which seemed like pretty good value, although obviously a bit more than you'd pay for grabbing a quick bowl of noodles in one of the more basic competitors. 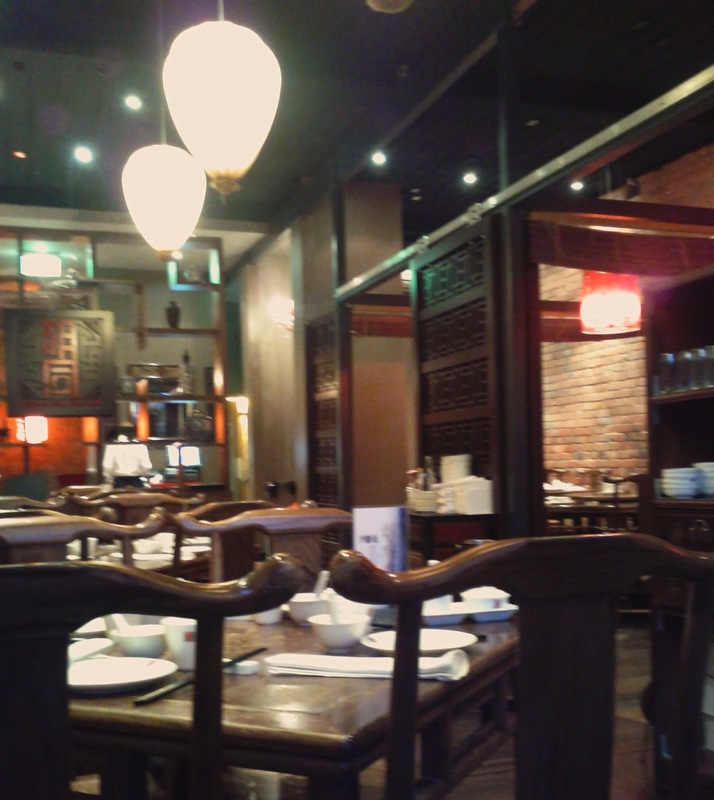 So did Hu Tong live up to it's billing, I'd say just about yes, the combination of the decor and style, range of dumplings on offer and efficient if not super friendly service it was good. I'm glad I've tried it and would certainly head back (given the chance)!